Give me your worst students. The other teachers told him to stop. This was last February and it was going to be hard enough to teach three algebra classes in the middle of a semester. He was two months gone from an NFL career that went for 16 years, after all. Yes, this was his old high school, the one where he was a star quarterback in the early 1990s, but didn’t the new football coach understand what he was getting into? Didn’t he see the numbers? Didn’t he know that four of every five of the students were on free or reduced lunches? That finding a meal was more important than understanding negative integers? Inspiring the best students was going to be difficult enough. Save himself, they advised. Start slow. Make it easy. Kitna shook his head. Easy wasn’t the point. 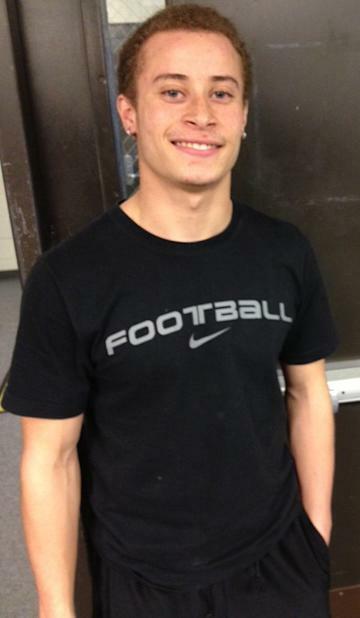 At 6-foot-4 with a buzz cut and a body built for football, he fills the classroom doorways. He would not be intimidated. And how could they understand this was the only job he ever wanted – that his time in the NFL was a daily preparation for this moment? No, coming home was supposed to be as hard. And so again he told the principals to have the other math teachers select the students they didn’t want – the ones who didn’t listen, who didn’t try, who didn’t care. He would take them all. The principals nodded. Lists were made, class rolls prepared. The new football coach was handed three dream teams of troublemakers. They wished him luck. He doesn’t have to be here, of course. Sixteen years as an NFL quarterback brought him more than $20 million. It gave him big homes and nice cars. It allowed his wife Jennifer and three children to never need again. When he walked away from the Cowboys after the 2011 season, he could have gone to the golf course or the broadcast booth or even one of those sprawling high schools with a giant stadium in a suburb of Dallas if he only wanted to coach. He is sitting at a teacher’s desk in the front of a classroom not long before his Algebra I class. Everything has changed in 20 years. Things seem worse now. There are so many more drugs. The poverty shocks him. Yet people he knows from the old days say the school was more violent when he was a student. Gangs roamed the halls. He remembers the gangs but many of those kids were also his friends and they shielded him from what they were doing. Perhaps his memories are sanitized. Maybe because he was surrounded by wealth for so long the hardship here is all the more unsettling. For several moments no one said anything. Then slowly the stories spilled out. Terrible stories. Heartbreaking stories. The players told of homes without parents. They said nobody in the house asked to see their homework. They talked of barely existing at all. They said the only place anyone seemed to care was at school. And they told him that even then he was the only one to whom they could relate. For a moment Kitna is silent. Then he stops and looks up wistfully. “All that being said, I’m on a gold mine,” he continues. “This place is a freaking gold mine because these kids are super, uber-talented. Not just athletically. You’ve got kids who can sing and blow the pipes off of things. You see kids who can do acting and drama-type stuff and arts that are just amazing. A buzzer sounds. Time for class. The room begins to fill. The kids are laughing. A few say “hello.” One asks what they are going to work on that day. Kitna watches them and smiles. “I’m on a gold mine here,” he says again. It takes a village to change a culture, and Kitna has filled his coaching staff with friends and associates he has known over the years. This includes former Oregon State player Casey Kjos, a cousin who he raised as a son, and Eric Boles, his teammate at Central Washington University who played briefly in the NFL. Jennifer and his brother’s wife take care of details like making meals for the team during training camp because they figure the players will otherwise not eat. Since the school had little money for things like uniforms and equipment they took over the booster club and website, and set up a 501(c)(3) and began soliciting donations. 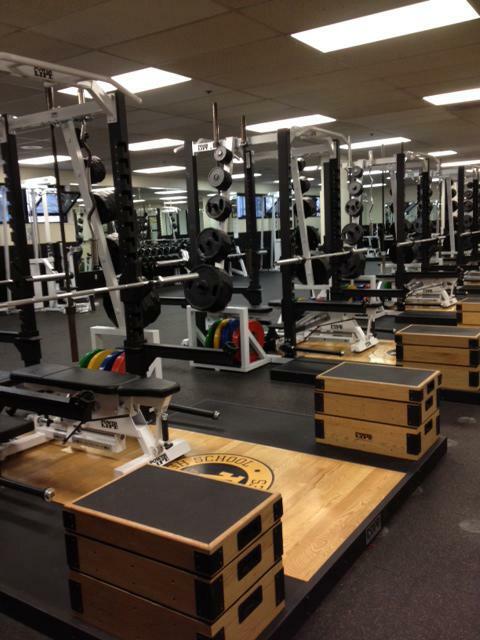 To show his seriousness, Kitna spent $150,000 to fill the weight room with equipment as nice as that in any NFL practice facility. He had the walls painted and named it after his old Lincoln teammate and longtime NFL safety Lawyer Milloy. Soon others followed. Carson Palmer, a teammate in Cincinnati, bought two industrial washers for uniforms. Current Cowboys quarterback Tony Romo provided the money for new jerseys. Calvin Johnson, his old receiver in Detroit paid for new equipment as did Cowboys linebacker DeMarcus Ware. Since the kids didn’t have their own spikes for practice, the Cowboys boxed up dozens of cleats. When Nike took over the NFL uniform contract in the spring, the Seahawks sold their now useless game pants to Lincoln at $1 a pair so the team could have practice uniforms. Several times, Erwin, the co-principal, has walked into the school on Saturday mornings and found Kitna washing uniforms. “I think what he is trying to do is see what can happen to kids in a high-poverty area when you put them in a world-class setting,” Erwin says. But inspiring kids who come from nothing is not as easy as wearing Marshawn Lynch’s pants and Dez Bryant’s old cleats. For every moment of joy comes a day that makes no sense. Not long after he arrived, Kitna took the football team to Seattle for a series of 7-on-7 drills at the University of Washington. When he sent notes to the parents, only three called to ask about the trip. Then when the bus returned to Lincoln at 11:30 p.m., Kitna was stunned to discover not one parent or relative had come to meet them. He and the coaches split the players up and drove them home. It was 12:15 a.m. when Kitna dropped off the last of the players in his car. And as the door shut and the player waved good bye, Kitna wept. Or as the other co-principal, Greg Eisnaugle, says as he stands in the hall one day: “He just exudes positivism. He makes the kids feel they are worthy. “Have you met Rayshaun Miller?” he asks. On the dream team of troublemakers, Rayshaun Miller was a lottery pick. He rolled through his first year and a half at Lincoln tormenting teachers so much that many threw their hands up in frustration. The tales of his arrogance and disrespect filled the main office. Once Erwin found him in the hallway boasting of his 4.4 time in the 40-yard dash and how he would tear through opponents on the football field. But there is also something compelling about Miller. He is bright. While most teenagers find it difficult to connect with adults, he makes eye contact. His handshake is firm. He likes to talk. This is the student Kitna met when he arrived last February, not the one who drove the teachers mad. At the time Miller was failing pretty much everything. Kitna said he would pick him up at his house at 6:30 every morning and drive him to school where they would work on algebra before the students arrived. Later in the day, he was in Kitna’s class, which gave him more than two hours of math daily with the new coach. His grades soared. The kid who was failing got A’s and B’s. The kid who mocked his teachers waved good morning. When other students fought, he broke them apart. Soon word came to the office of a new, different Rayshaun Miller. And everyone wondered just what had happened. He was born in Sacramento, Calif., and was sent to live with his father in Tacoma when he was 6 to escape the violence of his old neighborhood. He hasn’t seen his mother or brother since. He says he carried the anger over this for a long time. 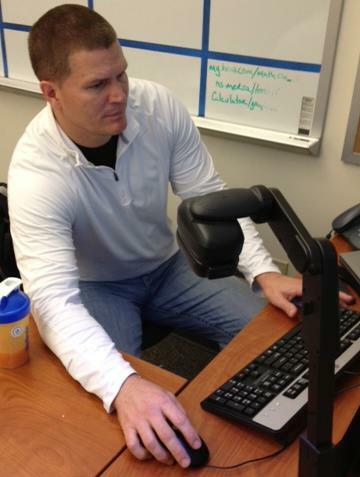 It was Kitna, he says, who told him he couldn’t use his background as a reason for giving up. “He taught me there is no excuse for not trying,” Miller says. Now, in the weight room, Miller laughs. Football was a miracle for Kitna. Even he never imagined he’d be in the NFL. It took years to become the starting quarterback at Lincoln. Nobody was waiting with a scholarship when he graduated. His parents helped him pull the money together to go to Central Washington, an NAIA school halfway across the state, where he found himself at the bottom of a long list of quarterbacks. Eventually he became the starter. His senior year, Central won the NAIA national championship, which got him mild acclaim in Washington but did nothing to further his career. Assuming he was done with football, Kitna finished his teaching degree and began pursuing the dream he and Jennifer talked so much about: teaching and coaching. Lincoln was actually looking for a head football coach. He applied but was turned down. Then a few days later Dennis Erickson showed up on Central’s campus. The Seahawks coach at the time was there to give a tryout to his nephew, Jamie Christian, who was one of Central’s receivers. The tryout was a family favor, yet what amazed Erickson was the quarterback whose throws looked like rockets zooming into Christian’s hands. 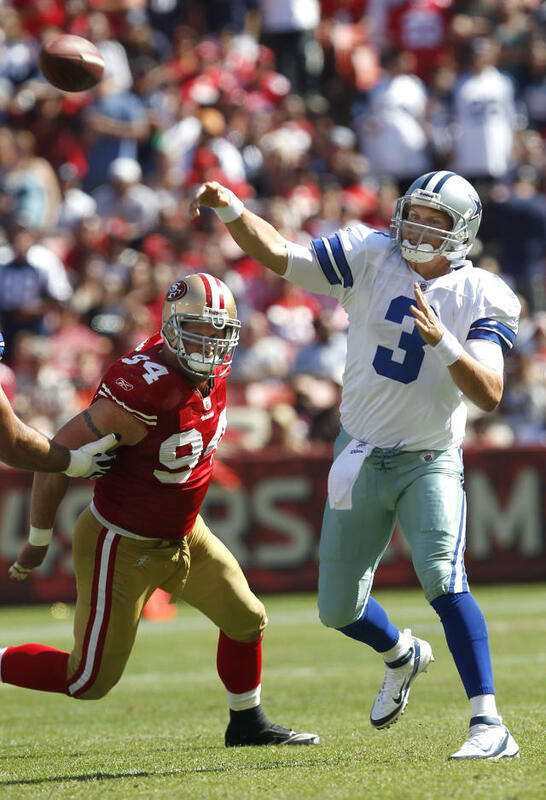 The Seahawks offered Kitna a contract and a spot in their 1996 training camp. He made the practice squad and after the season was placed on the roster of the Barcelona Dragons of the World League. Barcelona won the league title on home turf. Kitna was MVP of the championship game and left the field to chants of “Keeetna! Keeetna! Keeetna!” He was anonymous no more. He made Seattle’s roster in 1997 and became the team’s starting quarterback in 1998. In 2001 he went to Cincinnati, then to Detroit in 2006 where he threw for 4,000 yards two consecutive seasons, eventually landing in Dallas in 2009. Boles was going through a religious awakening at this time. And he talked to Kitna a lot about what he learned. One night Jennifer, who was Kitna’s girlfriend at the time, came home to find him in bed with another woman. In the midst of the ensuing argument, Boles’ words suddenly made sense. And what came from that night was a different Kitna. The drinking stopped along with the stealing and the partying. His expressions of faith were overt, manifesting itself in T-shirts with slogans like “God Athletic Department” or caps with crosses. His bookshelf filled with spiritual texts. His purpose became clear. He would teach. He would go back into the cities, to the worst of neighborhoods and he would make children better. He would tell them about choices and respect and responsibility. He was going to change lives. With Lincoln being a public school, faith is not a part of the lesson plan. Kitna understands this and seems to respect it. After all, he is teaching in a district where students come from all over the world and from a variety of religions. And don’t the lessons he is trying to teach apply to everyone regardless of belief? And while R.E.A.L. is gender specific and targeted first toward the Lincoln football players, Kitna believes it to be a message that can be embraced by all the students. Who doesn’t need to be reminded to show empathy or courage or take responsibility for mistakes? Virtues are virtues, whether they are taught by a preacher or a math teacher or a football coach. “Win with grace, lose with dignity,” Kitna says. He sighs when he hears the complaints about NFL players celebrating touchdowns and sacks – mocking the failures of the opponent on that particular play. If people want to change this, he says, the time to do so isn’t when the players are in the NFL. It’s too late then. You have to reach them when they are teenagers. And the lessons are harsh. One day this fall Kitna was told of a football player who watched another student draw a derogatory picture of a classmate. The football player had nothing to do with the drawing but he laughed. Kitna had a meeting with the player, the teacher and the student who was the target of the drawing. Then he suspended the player for two series in the upcoming game. Later that week, a group of football players surrounded a group of girl volleyball players from a different school who had come to Lincoln for a match. Two of the players danced suggestively in front of the girls. When Kitna found out about it the next day, he gathered the team together. “Who was there?” he asked. Two players raised their hands. “Who else was there?” he demanded. Months later, now, Kitna shakes his head. Lincoln lost its starting quarterback, a starting defensive lineman, starting center, a starting receiver and a starting linebacker for parts of that next game. The other team returned a punt for a touchdown, perhaps in part because special teams practice was canceled for the meeting about the volleyball incident. The replacement quarterback had a pass intercepted for a touchdown and Lincoln lost. It was a critical defeat in a 5-5 season. The students unpack their bags, pull pencils from holders and take school-owned calculators from felt caddies that hang on the wall but already something is wrong. Kitna can sense it. Then it hits him: Almost none of them have been inside a taxicab. They are staring at him because they don’t understand the question. Before the first X or fraction or set of parentheses can be scribbled on paper, Kitna must explain taxicabs. He shrugs. Teaching is making him a very patient man. Carefully, he explains the concept of a taxi meter. He had to give up two of the algebra classes this fall because the demands of building the football program became too much. He replaced them with weight training which gives him more time with the football players. He thinks it’s important that they see him as much as possible. But there is also a part of him that loves this class. And there are so many stories, like the one of the girl who barely spoke for the first few weeks who is now one of the best students. He can see the recognition. He can feel learning. This makes him happy. For, yes, he is sitting on a gold mine.